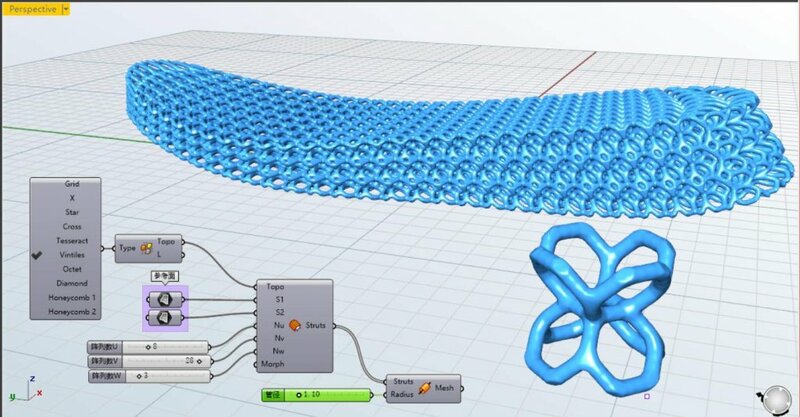 This is the beta release of Intralattice, a plug-in for Grasshopper used to generate solid lattice structures within a design space. It was developed as an extensible, open-source alternative to current commercial solutions, such as Within. As an ongoing project developed at McGill’s Additive Design & Manufacturing Laboratory (ADML), it has been a valuable research tool, serving as a platform for breakthroughs in multiscale design and optimization.